Fourth of July weekend is coming up and I've got an easy, mix & match red, white, & blue look for you today! Dresses are definitely my go-to during the summer months, but I thought I'd try something a little different this year. As someone who loves getting the most out of their wardrobe, each of these pieces in this look can easily be switched out to create a completely different outfit. Switch out the shorts for denim flares. Or wear a button down shirt tied in the front and scrunched up sleeves to give it a more casual vibe. And I promise you, you'll want to wear these shoes with everything you own. I'm very much obsessed with them and would totally wear them all the time if I wasn't chasing after a one year old. The necklace is one of my favorite necklaces that I have right now, because it can be worn with so many things. The best part about it is that it's just under $20 right now! Oh, and I had been looking for some mirrored sunnies and these ones are so fun and at $20, are another steal! And the only tassel clutch you need for this summer is this one from Hobo The Original. It is so soft and can hold so many items, plus you can wear it as a cross body bag! 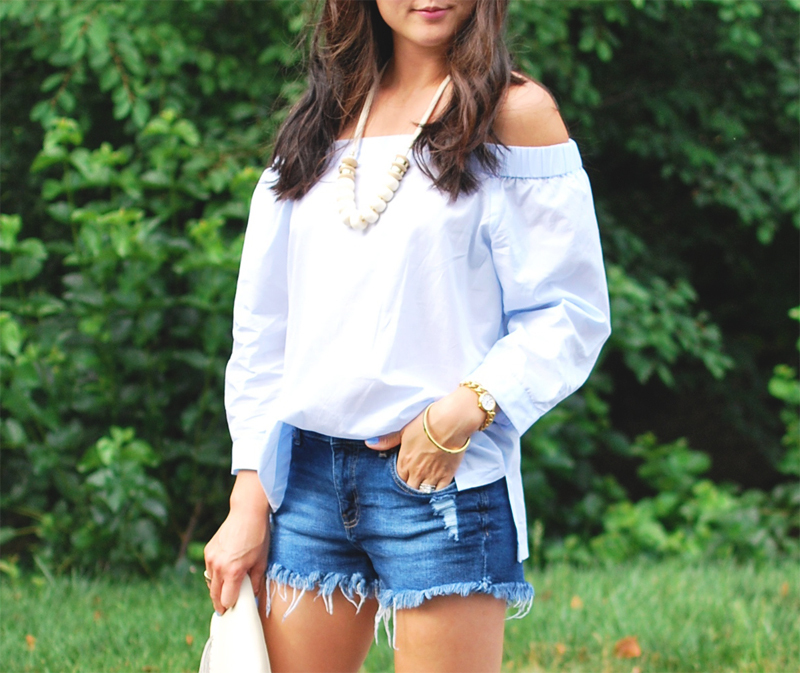 This #ootd could easily go from day parties into the evening hours for this weekend. But I'll stop trying to convince you with my words and just let the photos do the talking. There's tons of photos today, so my apologies for the looong post!